by Samuel S. Epstein M. D.
The American Cancer Society is fixated on damage control— diagnosis and treatment— and basic molecular biology, with indifference or even hostility to cancer prevention. This myopic mindset is compounded by interlocking conflicts of interest with the cancer drug, mammography, and other industries. The “nonprofit” status of the Society is in sharp conflict with its high overhead and expenses, excessive reserves of assets and contributions to political parties. All attempts to reform the Society over the past two decades have failed; a national economic boycott of the Society is long overdue. The American Cancer Society (ACS) is accumulating great wealth in its role as a “charity.” According to James Bennett, professor of economics at George Mason University and recognized authority on charitable organizations, in 1988 the ACS held a fund balance of over $400 million with about $69 million of holdings in land, buildings, and equipment (1). Of that money, the ACS spent only $90 million— 26 percent of its budget— on medical research and programs. The rest covered “operating expenses,” including about 60 percent for generous salaries, pensions, executive benefits, and overhead. By 1989, the cash reserves of the ACS were worth more than $700 million (2). In 1991, Americans, believing they were contributing to fighting cancer, gave nearly $350 million to the ACS, 6 percent more than the previous year. Most of this money comes from public donations averaging $3,500, and high-profile fund-raising campaigns such as the springtime daffodil sale and the May relay races. However, over the last two decades, an increasing proportion of the ACS budget comes from large corporations, including the pharmaceutical, cancer drug, telecommunications, and entertainment industries. David R. Bethune, president of Lederle Laboratories, a multinational pharmaceutical company and a division of American Cyanamid Company. Bethune is also vice president of American Cyanamid, which makes chemical fertilizers and herbicides while transforming itself into a full-fledged pharmaceutical company. In 1988, American Cyanamid introduced Novatrone, an anti-cancer drug. And in 1992, it announced that it would buy a majority of shares of Immunex, a cancer drug maker. Multimillionaire Irwin Beck, whose father, William Henry Beck, founded the nation’s largest family-owned retail chain, Beck Stores, which analysts estimate brought in revenues of $1.7 billion in 1993. Gordon Binder, CEO of Amgen, the world’s foremost biotechnology company, with over $1 billion in product sales in 1992. Amgen’s success rests almost exclusively on one product, Neupogen, which is administered to chemotherapy patients to stimulate their production of white blood cells. As the cancer epidemic grows, sales for Neupogen continue to skyrocket. Diane Disney Miller, daughter of the conservative multi-millionaire Walt Disney, who died of lung cancer in 1966, and wife of Ron Miller, former president of the Walt Disney Company from 1980 to 1984. George Dessert, famous in media circles for his former role as censor on the subject of “family values” during the 1970s and 1980s as CEO of CBS, and now chairman of the ACS board. Alan Gevertzen, chairman of the board of Boeing, the world’s number one commercial aircraft maker with net sales of $30 billion in 1992. Sumner M. Redstone, chairman of the board, Viacom Inc. and Viacom International Inc., a broadcasting, telecommunications, entertainment, and cable television corporation. The results of this board’s efforts have been very successful. A million here, a million there— much of it coming from the very industries instrumental in shaping ACS policy, or profiting from it. In 1992, The Chronicle of Philanthropy reported that the ACS was “more interested in accumulating wealth than in saving lives.” Fund-raising appeals routinely stated that the ACS needed more funds to support its cancer programs, all the while holding more than $750 million in cash and real estate assets (3). A 1992 article in the Wall Street Journal, by Thomas DiLorenzo, professor of economics at Loyola College and veteran investigator of nonprofit organizations, revealed that the Texas affiliate of the ACS owned more than $11 million worth of assets in land and real estate, as well as more than 56 vehicles, including 11 Ford Crown Victorias for senior executives and 45 other cars assigned to staff members. Arizona’s ACS chapter spent less than 10 percent of its funds on direct community cancer services. In California, the figure was 11 percent, and under 9 percent in Missouri (4). Thus for every $1 spent on direct service, approximately $6.40 is spent on compensation and overhead. In all ten states, salaries and fringe benefits are by far the largest single budget items, a surprising fact in light of the characterization of the appeals, which stress an urgent and critical need for donations to provide cancer services. Nationally, only 16 percent or less of all money raised is spent on direct services to cancer victims, like driving cancer patients from the hospital after chemotherapy and providing pain medication. Most of the funds raised by the ACS go to pay overhead, salaries, fringe benefits, and travel expenses of its national executives in Atlanta. They also go to pay chief executive officers, who earn six-figure salaries in several states, and the hundreds of other employees who work out of some 3,000 regional offices nationwide. The typical ACS affiliate, which helps raise the money for the national office, spends more than 52 percent of its budget on salaries, pensions, fringe benefits, and overhead for its own employees. Salaries and overhead for most ACS affiliates also exceeded 50 percent, although most direct community services are handled by unpaid volunteers. DiLorenzo summed up his findings by emphasizing the hoarding of funds by the ACS (4). If current needs are not being met because of insufficient funds, as fund-raising appeals suggest, why is so much cash being hoarded? Most contributors believe their donations are being used to fight cancer, not to accumulate financial reserves. More progress in the war against cancer would be made if they would divest some of their real estate holdings and use the proceeds— as well as a portion of their cash reserves— to provide more cancer services. Aside from high salaries and overhead, most of what is left of the ACS budget goes to basic research and research into profitable patented cancer drugs. The current budget of the ACS is $380 million and its cash reserves approach $1 billion. Yet its aggressive fund-raising campaign continues to plead poverty and lament the lack of available money for cancer research, while ignoring efforts to prevent cancer by phasing out avoidable exposures to environmental and occupational carcinogens. exposure to workplace or environmental carcinogens. Giant corporations, which profit handsomely while they pollute the air, water, and food with a wide range of carcinogens, are greatly comforted by the silence of the ACS. This silence reflects a complex of mindsets fixated on diagnosis, treatment, and basic genetic research together with ignorance, indifference, and even hostility to prevention, coupled with conflicts of interest. Indeed, despite promises to the public to do everything to “wipe out cancer in your lifetime,” the ACS fails to make its voice heard in Congress and the regulatory arena. Instead, the ACS repeatedly rejects or ignores opportunities and requests from Congressional committees, regulatory agencies, unions, and environmental organizations to provide scientific testimony critical to efforts to legislate and regulate a wide range of occupational and environmental carcinogens. This history of ACS unresponsiveness is a long and damning one, as shown by the following examples (6). 1. In 1971, when studies unequivocally proved that diethylstilbestrol (DES) caused vaginal cancers in teenaged daughters of women administered the drug during pregnancy, the ACS refused an invitation to testify at Congressional hearings to require the FDA (U. S. Food and Drug Administration) to ban its use as an animal feed additive. It gave no reason for its refusal. 2. In 1977 and 1978, the ACS opposed regulations proposed for hair coloring products that contained dyes known to cause breast and liver cancer in rodents. In so doing, the ACS ignored virtually every tenet of responsible public health as these chemicals were clear-cut liver and breast carcinogens. 3. In 1977, the ACS called for a Congressional moratorium on the FDA’s proposed ban on saccharin and even advocated its use by nursing mothers and babies in “moderation” despite clear-cut evidence of its carcinogenicity in rodents. This reflects the consistent rejection by the ACS of the importance of animal evidence as predictive of human cancer risk. 5. In 1978, Congressman Paul Rogers censured the ACS for doing “too little, too late” in failing to support the Clean Air Act. 6. In 1982, the ACS adopted a highly restrictive cancer policy that insisted on unequivocal human evidence of carcinogenicity before taking any position on public health hazards. Accordingly, the ACS still trivializes or rejects evidence of carcinogenicity in experimental animals, and has actively campaigned against laws (the 1958 Delaney Law, for instance) that ban deliberate addition to food of any amount of any additive shown to cause cancer in either animals or humans. The ACS still persists in an anti-Delaney policy, in spite of the overwhelming support for the Delaney Law by the independent scientific community. 7. In 1983, the ACS refused to join a coalition of the March of Dimes, American Heart Association, and the American Lung Association to support the Clean Air Act. 9. In 1992, in conjunction with the NCI, the ACS aggressively launched a ” chemoprevention” program aimed at recruiting 16,000 healthy women at supposedly ” high risk” of breast cancer into a 5-year clinical trial with a highly profitable drug called tamoxifen. This drug is manufactured by one of the world’s most powerful cancer drug industries, Zeneca, an offshoot of the Imperial Chemical Industries. The women were told that the drug was essentially harmless, and that it could reduce their risk of breast cancer. What the women were not told was that tamoxifen had already been shown to be a highly potent liver carcinogen in rodent tests, and also that it was well-known to induce human uterine cancer (6, pp. 145– 151). 11. In September 1996, the ACS together with a diverse group of patient and physician organizations filed a “citizen’s petition” to pressure the FDA to ease restrictions on access to silicone gel breast implants. What the ACS did not disclose was that the gel in these implants had clearly been shown to induce cancer in several industry rodent studies, and that these implants were also contaminated with other potent carcinogens such as ethylene oxide and crystalline silica. This abysmal track record on prevention has been the subject of periodic protests by both independent scientists and public interest groups. A well-publicized example was a New York City, January 23, 1994, press conference, sponsored by the author and the Center for Science in the Public Interest. The press release stated: “A group of 24 scientists charged that the ACS was doing little to protect the public from cancer-causing chemicals in the environment and workplace. The scientists urged ACS to revamp its policies and to emphasize prevention in its lobbying and educational campaigns.” The scientists— who included Matthew Meselson and Nobel laureate George Wald, both of Harvard University; former OSHA director Eula Bingham; Samuel Epstein, author of The Politics of Cancer; and Anthony Robbins, past president of the American Public Health Association— criticized the ACS for insisting on unequivocal human proof that a substance is carcinogenic before it will recommend its regulation. This public criticism by a broad representation of highly credible scientists reflects the growing conviction that a substantial proportion of cancer deaths are caused by exposure to chemical carcinogens in the air, water, food supply, and workplace, and thus can be prevented by legislative and regulatory action. Calling the ACS guidelines an “unrealistically high-action threshold,” a letter to ACS executive vice president Lane Adams states that “we would like to express our hope that ACS will take strong public positions and become a more active force to protect the public and the work force from exposure to carcinogens.” ACS’s policy is retrogressive and contrary to authoritative and scientific tenets established by international and national scientific committees, and is in conflict with long-established policies of federal regulatory agencies. Speakers at the conference warned that unless the ACS became more supportive of cancer prevention, it would face the risk of an economic boycott. Reacting promptly, the ACS issued a statement claiming that cancer prevention would become a major priority. However, ACS policies have remained unchanged. More recently, the author has issued this warning again, a warning echoed by activist women’s breast cancer groups. In Cancer Facts & Figures— 1998, the latest annual ACS publication designed to provide the public and medical profession with “Basic Facts” on cancer— other than information on incidence, mortality, signs and symptoms, and treatment— there is little or no mention of prevention (10). Examples include: no mention of dusting the genital area with talc as a known cause of ovarian cancer; no mention of parental exposure to occupational carcinogens as a major cause of childhood cancer; and no mention of prolonged use of oral contraceptives and hormone replacement therapy as major causes of breast cancer. For breast cancer, ACS states: “Since women may not be able to alter their personal risk factors, the best opportunity for reducing morality is through early detection.” In other words, breast cancer is not preventable in spite of clear evidence that its incidence has escalated over recent decades, and in spite of an overwhelming literature on avoidable causes of this cancer (6, Chapt. 6). In the section on “Nutrition and Diet,” no mention at all is made of the heavy contamination of animal and dairy fats and produce with a wide range of carcinogenic pesticide residues, and on the need to switch to safer organic foods. Of the members of the ACS board, about half are clinicians, oncologists, surgeons, radiologists, and basic molecular scientists— and most are closely tied in with the NCI. Many board members and their institutional colleagues apply for and obtain funding from both the ACS and the NCI. Substantial NCI funds go to ACS directors who sit on key NCI committees. Although the ACS asks board members to leave the room when the rest of the board discusses their funding proposals, this is just a token formality. In this private club, easy access to funding is one of the “perks,” and the board routinely rubber-stamps approvals. A significant amount of ACS research funding goes to this extended membership. Such conflicts of interest are evident in many ACS priorities, including their policy on mammography and their National Breast Cancer Awareness campaign (6). In addition, the mammography industry conducts research for the ACS and its grantees, serves on advisory boards, and donates considerable funds. DuPont also is a substantial backer of the ACS Breast Health Awareness Program; sponsors television shows and other media productions touting mammography; produces advertising, promotional, and information literature for hospitals, clinics, medical organizations, and doctors; produces educational films; and, of course, lobbies Congress for legislation promoting availability of mammography services. In virtually all of its important actions, the ACS has been strongly linked with the mammography industry, ignoring the development of viable alternatives to mammography. The ACS exposes premenopausal women to radiation hazards from mammography with little or no evidence of benefits. The ACS also fails to tell them that their breasts will change so much over time that the “baseline” images have little or no future relevance. This is truly an American Cancer Society crusade. But against whom, or rather, for whom? The highly publicized National Breast Cancer Awareness Month campaign further illustrates these institutionalized conflicts of interest. Every October, ACS and NCI representatives help sponsor promotional events, hold interviews, and stress the need for mammography. The flagship of this month-long series of events is National Mammography Day, on October 17 in 1997. Conspicuously absent from the public relations campaign of the National Breast Cancer Awareness Month is any information on environmental and other avoidable causes of breast cancer. This is no accident. Zeneca Pharmaceuticals— a spin-off of Imperial Chemical Industries, one of the world’s largest manufacturers of chlorinated and other industrial chemicals, including those incriminated as causes of breast cancer— has been the sole multimillion-dollar funder of National Breast Cancer Awareness Month since its inception in 1984. Zeneca is also the sole manufacturer of tamoxifen, the world’s top-selling anticancer and breast cancer “prevention” drug, with $400 million in annual sales. Furthermore, Zeneca recently assumed direct management of 11 cancer centers in U. S. hospitals. Zeneca owns a 50 percent stake in these centers known collectively as Salick Health Care. Since Zeneca influences every leaflet, poster, publication, and commercial produced by National Breast Cancer Awareness Month, it is no wonder these publications make no mention of carcinogenic industrial chemicals and their relation to breast cancer. Imperial Chemical Industries, Zeneca’s parent company, profits by manufacturing breast cancer– causing chemicals. Zeneca profits from treatment of breast cancer, and hopes to profit still more from the prospects of large-scale national use of tamoxifen for breast cancer prevention. 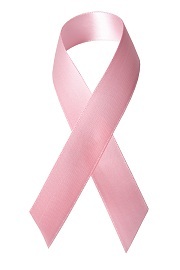 National Breast Cancer Awareness Month is a masterful public relations coup for Zeneca, providing the company with valuable, if ill-placed, good will from millions of American women. Just how inbred the relations between the ACS and the chemical industry are became clear in the spring of 1993 to Marty Koughan, a public television producer. Koughan was about to broadcast a documentary on the dangers of pesticides to children for the Public Broadcasting Service’s hour-long show, Frontline. Koughan’s investigation relied heavily on an embargoed, ground-breaking report issued by the National Academy of Sciences in June of 1993 entitled “Pesticides in the Diet of Children.” This report declared the nation’s food supply “inadequately protected” from cancer-causing pesticides and a significant threat to the health of children. Wellcome, American Petroleum Institute, Bristol-Meyers-Squibb, Hoffman-LaRoche, Hoechst Celanese, Hoechst Roussel Pharmaceutical, Janssen Pharmaceutical, Johnson & Johnson, the Center for Produce Quality, as well as the U. S. Department of Agriculture, the NCI, plus other National Institutes of Health. Porter-Novelli first crafted a rebuttal to help the manufacturers quell public fears about pesticide-contaminated food. Next, Porter-Novelli called up another client, the American Cancer Society, for whom Porter-Novelli had done pro bono work for years. The rebuttal that Porter-Novelli had just sent off to its industry clients was faxed to ACS Atlanta headquarters. It was then circulated by e-mail on March 22, 1993, internally— virtually verbatim from the memo Porter-Novelli had crafted for a backgrounder for 3,000 regional ACS offices to have in hand to help field calls from the public after the show aired. Charles Benbrook, former director of the National Academy of Sciences Board of Agriculture, worked on the pesticide report by the Academy of Sciences that the PBS special would preview. He charged that the role of the ACS as a source of information for the media representing the pesticide and produce industry was “unconscionable” (11). Investigative reporter Sheila Kaplan, in a 1993 Legal Times article, went further: “What they did was clearly and unequivocally over the line, and constitutes a major conflict of interest” (12). The intimate association between the ACS and the cancer drug industry, with cur-rent annual sales of about $12 billion, is further illustrated by the unbridled aggression which the Society has directed at potential competitors of the industry (13). Just as Senator Joseph McCarthy had his “black list” of suspected communists and Richard Nixon his environmental activist “enemies list,” so too the ACS maintains a “Committee on Unproven Methods of Cancer Management” which periodically “reviews” unorthodox or alternative therapies. This Committee is comprised of “volunteer health care professionals,” carefully selected proponents of orthodox, expensive, and usually toxic drugs patented by major pharmaceutical companies, and opponents of alternative or “unproven” therapies which are generally cheap, nonpatentable, and minimally toxic (13). Periodically, the Committee updates its statements on “unproven methods,” which are then widely disseminated to clinicians, cheerleader science writers, and the public. Once a clinician or oncologist becomes associated with “unproven methods,” he or she is blackballed by the cancer establishment. Funding for the accused “quack” becomes inaccessible, followed by systematic harassment. The highly biased ACS witch-hunts against alternative practitioners is in striking contrast to its extravagant and uncritical endorsement of conventional toxic chemotherapy. This in spite of the absence of any objective evidence of improved survival rates or reduced mortality following chemotherapy for all but some relatively rare cancers. In response to pressure from People Against Cancer, a grassroots group of cancer patients disillusioned with conventional cancer therapy, in 1986 some 40 members of Congress requested the Office of Technology Assessment (OTA), a Congressional think tank, to evaluate available information on alternative innovative therapies. While initially resistant, OTA eventually published a September 1990 report that identified some 200 promising studies on alternative therapies. OTA concluded that the NCI had “a mandated responsibility to pursue this information and facilitate examination of widely used `unconventional cancer treatments’ for therapeutic potential” (14). Yet the ACS and NCI remain resistant, if not frankly hostile, to OTA’s recommendations. In the January 1991 issue of its Cancer Journal for Clinicians ACS referred to the Hoxsey therapy, a nontoxic combination of herb extracts developed in the 1940s by populist Harry Hoxsey, as a “worthless tonic for cancer.” However, a detailed critique of Hoxsey’s treatment by Dr. Patricia Spain Ward, a leading contributor to the OTA report, concluded just the opposite:” More recent literature leaves no doubt that Hoxsey’s formula does indeed contain many plant substances of marked therapeutic activity” (13). Nor is this the first time that the Society’s claims of quackery have been called into question or discredited. A growing number of other innovative therapies originally attacked by the ACS have recently found less disfavor and even acceptance. These include hyperthermia, tumor necrosis factor (originally called Coley’s toxin), hydrazine sulfate, and Burzynski’s antineoplastons. Well over 100 promising alternative nonpatented and nontoxic therapies have already been identified (15). Clearly, such treatments merit clinical testing and evaluation by the NCI using similar statistical techniques and criteria as established for conventional chemotherapy. However, while the FDA has approved approximately 40 patented drugs for cancer treatment, it has still not approved a single nonpatented alternative drug. Subsequent events have further isolated the ACS in its fixation on orthodox treatments. Bypassing the ACS and NCI, the National Institutes of Health in June 1992 opened a new Office of Alternative Medicine for the investigation of unconventional treatment of cancer and other diseases. Leading proponents of conventional therapy were invited to participate. The ACS refused and still refuses. The NCI grudgingly and nominally participates while actively attacking alternative therapy with its widely circulated Cancer Information Services. Meanwhile, the NCI’s police partner, the FDA, uses its enforcement authority against distributors and practitioners of innovative and nontoxic therapies. In an interesting recent development, the Center for Mind-Body Medicine in Washington, D. C., held a two-day conference on Comprehensive Cancer Care: Integrating Complementary and Alternative Medicine. According to Dr. James Gordon, president of the Center and chair of the Program Advisory Council of the NIH Office of Alternative Medicine, the object of the conference was to bring together practitioners of mainstream and alternative medicine, together with cancer patients and high-ranking officials of the ACS and NCI. Dr. Gordon warned alternative practitioners that “they’re going to need to get more rigorous with their work— to be accepted by the mainstream community” (16). However, no such warning was directed at the highly questionable claims by the NCI and ACS for the efficacy of conventional cancer chemotherapy. As significantly, criticism of the establishment’s minimalistic priority for cancer prevention was effectively discouraged. The launching of the 1971 War Against Cancer provided the ACS with a well-exploited opportunity to pursue it own myopic and self-interested agenda. Its strategies remain based on two myths— that there has been dramatic progress in the treatment and cure of cancer, and that any increase in the incidence and mortality of cancer is due to aging of the population and smoking, while denying any significant role for involuntary exposures to industrial carcinogens in air, water, consumer products, and the workplace. As the world’s largest nonreligious “charity,” with powerful allies in the private and public sectors, ACS policies and priorities remain unchanged. Despite periodic protests, threats of boycotts, and questions on its finances, the Society leadership responds with powerful public relations campaigns reflecting denial and manipulated information and pillorying its opponents with scientific McCarthyism. The verdict is unassailable. The ACS bears a major responsibility for losing the winnable war against cancer. Reforming the ACS is, in principle, relatively easy and directly achievable. Boycott the ACS. Instead, give your charitable contributions to public interest and environmental groups involved in cancer prevention. Such a boycott is well overdue and will send the only message this “charity” can no longer ignore. 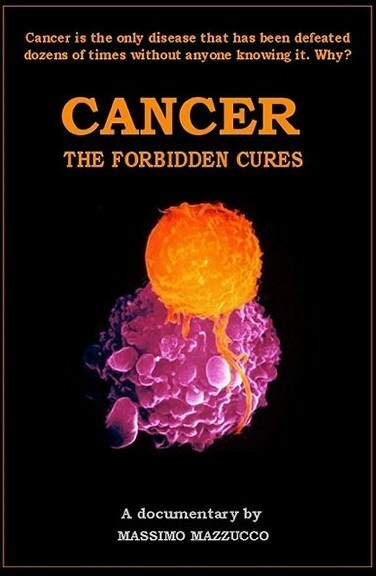 The Cancer Prevention Coalition (chaired by the author) in April 1999 formally announced a nationwide campaign for an economic boycott of the ACS (http://www.preventcancer.com). Published in: International Journal of Health Services Vol. 29, No. 3, 1999. 1. Bennett, J. T. Health research charities: Doing little in research but emphasizing politics. Union Leader, Manchester, N. H., September 20, 1990. 2. Bennett, J. T., and DiLorenzo, T. J. Unhealthy Charities: Hazardous to Your Health and Wealth. Basic Books, New York, 1994. 3. Hall, H., and Williams, G. Professor vs. Cancer Society. The Chronicle of Philanthropy, January 28, 1992, p. 26. 4. DiLorenzo, T. J. One charity’s uneconomic war on cancer. Wall Street Journal, March 15, 1992, p. A10. 5. Salant, J. D. Cancer Society gives to governors. Associated Press Release, March 30, 1998. 6. Epstein, S. S., Steinman, D., and LeVert, S. The Breast Cancer Prevention Program. Macmillan, New York, 1997. 7. Epstein, S. S. Losing the war against cancer: Who’s to blame and what to do about it. Int. J. Health Serv. 20: 53– 71, 1990. 8. Epstein, S. S. Evaluation of the National Cancer Program and proposed reforms. Int. J. Health Serv. 23( 1): 15– 44, 1993. 9. American Cancer Society. Upcoming television special on pesticides in food. Memorandum from S. Dickinson, Vice-President, Public Relations and Health, to C. W. Heath, Jr., M. D., Vice-President. Epidemiology and Statistics, March 22, 1993. 10. American Cancer Society. Cancer Facts & Figures— 1998, pp. 1– 32, Atlanta, 1998. 11. Kaplan, S. PR Giant makes hay from client cross-pollination: Porter/ Novelli plays all sides. PR Watch, First quarter, 1994, p. 4. 12. Kaplan, S. Porter-Novelli plays all sides. Legal Times 16( 27) :1, November 23, 1993. 13. Moss, R. W. Questioning Chemotherapy. Equinox Press, Brooklyn, N. Y., 1995. 14. U. S. Congress Office of Technology Assessment. Unconventional Cancer Treatments. U. S. Government Printing Office, Washington, D. C., 1990. 15. Moss. 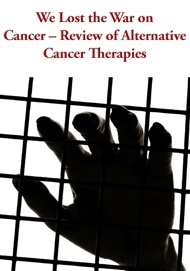 R. W. Cancer Therapy: The Independent Consumer’s Guide to Non-toxic Treatment and Prevention. Equinox Press, Brooklyn, N. Y., 1992. 16. Castellucci, L. Practitioners seek common ground in unconventional forum. J. Natl. Cancer Inst. 90: 1036– 1037, 1998. Purchase the DVD – Free Shipping Available! Click image to view the trailer.